Karl Mayr, the son of a magistrate, was born in Mindelheim on 5th January 1883. After leaving school he joined the 1st Bavarian Infantry Regiment in Munich as a cadet. Mayr made good progress and reached to the rank of Lieutenant in 1903. During the First World War Mayr served in the German Army on the Western Front seeing action in Lorraine and Flanders. In June 1915 Mayr was promoted to the rank of captain. In 1917 he joined the General Staff of the Alpine Corps. In March 1918 he was appointed commander of the 1st Bavarian Jägerbattailon, with whom he served in Turkey. On 30th May 1919 Major Karl Mayr was appointed as head of the Education and Propaganda Department. He was given considerable funds to build up a team of agents or informants and to organize a series of educational courses to train selected officers and men in "correct" political and ideological thinking. Mayr was also given the power to finance "patriotic" parties, publications and organizations. Mayr worked closely with Ernst Röhm, the Chief of Staff of Colonel Franz Epp, the leader of the Freikorps in Munich. Ernst Röhm, suggested that Adolf Hitler should be recruited as an informer. Mayr later recalled that Hitler was "like a tired stray dog looking for a master" and someone "ready to throw in his lot with anyone who would show him kindness". Mayr argued that at the time Hitler "was totally unconcerned about the German people and their destinies". Mayr added that Hitler was "paid by the month, from whom regular information could be expected." On 5th June 1919, Hitler began a course on political education at Munich University. He attended courses entitled "German History Since the Reformation", "The Political History of the War", "Socialism in Theory and Practice", "our Economic Situation and Peace Conditions" and "The Connection between Domestic and Foreign Policy". The main aim was to promote his political philosophy favoured by the army and help to combat the influence of the Russian Revolution on the German soldiers. Speakers included Gottfried Feder and Karl Alexander von Müller. During one of Müller's lectures, Hitler was involved in a passionate debate with another student about Jews. Müller was impressed with Hitler's contribution and told Mayr that he had "rhetorical talent". As a result of this recommendation, Hitler was selected as a political officer in the team of instructors that were sent to lecture at an German Army camp near Augsburg. This was arranged by Mayr in response to complaints about the political unreliability of men stationed there. The task of the squad was to inculcate nationalist and anti-Bolshevik sentiments in the troops, described as being "infected" by Bolshevism and Spartacism. Hitler gave lectures on "Peace Conditions and Reconstruction", "Emigration", and Social and Political-Economic Catchwords". His students were impressed with Hitler's lectures. Hans Knoden pointed out that Hitler "revealed himself to be an excellent and passionate speaker and captured the attention of all the listeners with his comments". Another soldier, Lorenz Frank, argued that "Hitler is a born popular speaker who, through his fanaticism and his populist style in a meeting, absolutely compels his audience to take note and share his views." 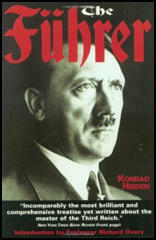 Ian Kershaw the author of Hitler 1889-1936 (1998), has argued: "He (Hitler) threw himself with passion into the work. His engagement was total. And he immediately found he could strike a chord with his audience, that the way he spoke roused the soldiers listening to him from their passivity and cynicism. Hitler was in his element. For the first time in his life, he had found something at which he was an unqualified success. Almost by chance, he had stumbled across his greatest talent." Hitler wrote in Mein Kampf (1925): "I started out with the greatest enthusiasm and love. For all at once I was offered an opportunity of speaking before a larger audience; and the thing that I had always presumed from pure feeling without knowing it was now corroborated; I could speak... And I could boast of some success; in the course of my lectures I led many hundreds, indeed thousands, of comrades back to their people and fatherland." In September 1919, Karl Mayr instructed Hitler to attend a meeting of the German Worker's Party (GWP). Formed by Anton Drexler, Hermann Esser, Gottfried Feder and Dietrich Eckart, the German Army was worried that it was a left-wing revolutionary group. Hitler recorded in Mein Kampf (1925): "When I arrived that evening in the guest room of the former Sternecker Brau (Star Corner)... I found approximately 20–25 persons present, most of them belonging to the lower classes. The theme of Feder’s lecture was already familiar to me; for I had heard it in the lecture course... Therefore, I could concentrate my attention on studying the society itself. The impression it made upon me was neither good nor bad. I felt that here was just another one of these many new societies which were being formed at that time. In those days everybody felt called upon to found a new Party whenever he felt displeased with the course of events and had lost confidence in all the parties already existing. Thus it was that new associations sprouted up all round, to disappear just as quickly, without exercising any effect or making any noise whatsoever." Hitler discovered that the party's political ideas were similar to his own. He approved of Drexler's German nationalism and anti-Semitism but was unimpressed with what he saw at the meeting. Hitler was just about to leave when a man in the audience began to question the logic of Feder's speech on Bavaria. Hitler joined in the discussion and made a passionate attack on the man who he described as the "professor". Drexler was impressed with Hitler and gave him a booklet encouraging him to join the GWP. Entitled, My Political Awakening, it described his objective of building a political party which would be based on the needs of the working-class but which, unlike the Social Democratic Party (SDP) or the German Communist Party (KPD) would be strongly nationalist. Drexler was impressed with Hitler's abilities as an orator and invited him to join the party. Hitler commented: "I didn't know whether to be angry or to laugh. I had no intention of joining a ready-made party, but wanted to found one of my own. What they asked of me was presumptuous and out of the question." However, Hitler was urged on by his commanding officer, Major Karl Mayr, to join. 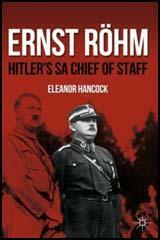 Hitler also discovered that Ernst Röhm, was also a member of the GWP. Röhm, like Mayr, had access to the army political fund and was able to transfer some of the money into the GWP. Hitler's reputation as an orator grew and it soon became clear that he was the main reason why people were joining the party. This gave Hitler tremendous power within the organization as they knew they could not afford to lose him. One change suggested by Hitler concerned adding "Socialist" to the name of the party. Hitler had always been hostile to socialist ideas, especially those that involved racial or sexual equality. However, socialism was a popular political philosophy in Germany after the First World War. This was reflected in the growth in the German Social Democrat Party (SDP), the largest political party in Germany. Hitler, therefore redefined socialism by placing the word "National" before it. He claimed he was only in favour of equality for those who had "German blood". Jews and other "aliens" would lose their rights of citizenship, and immigration of non-Germans should be brought to an end. Meanwhile, General Erich Ludendorff, Wolfgang Kapp and Waldemar Pabst to establish the Nationale Vereinigung (National Union), which campaigned for a counter-revolution to install a form of conservative militaristic government. In March 1920, according to the terms of the Treaty of Versailles, the Germans were obliged to dismiss between 50,000 and 60,000 men from the armed forces. Among the units to be disbanded was a naval brigade commanded by Captain Herman Ehrhardt, a leader of a unit of Freikorps. The brigade had played a role in crushing the Bavarian Socialist Republic. On the evening of 12th March, 1920, the Ehrhardt brigade went into action. He marched 5,000 of his men twelve miles from their military barracks to Berlin. The Minister of Defence, Gustav Noske, had only 2,000 men to oppose the rebels. However, the leaders of the German Army refused to put down the rebellion. General Hans von Seeckt informed him "Reichswehr does not fire on Reichswehr." Noske contacted the police and security officers but they had joined the coup themselves. He commented: "Everyone has deserted me. Nothing remains but suicide." However, Noske did not kill himself and instead fled to Dresden with Friedrich Ebert. However, the local military commander, General George Maercker refused to protect them and they were forced to travel to Stuttgart. Captain Herman Ehrhardt met no resistance as they took over the ministries and proclaimed a new government headed by Wolfgang Kapp. Mayr was very exited by the Kapp Putsch and in March 1920 sent Adolf Hitler, Dietrich Eckart and Ritter von Greim to Berlin to observe the events taking place. The men were able to observe how the Social Democratic Party gained back control. The trade union leaders refused to flee and Carl Legien called for a general strike to take place. As Chris Harman, the author of The Lost Revolution (1982), has pointed out: "The appeal had an immediate impact. It went out at 11am on the day of the coup, Saturday 13 March. By midday the strike had already started. Its effects could be felt everywhere in the capital within 24 hours, despite it being a Sunday. There were no trains running, no electricity and no gas. Kapp issued a decree threatening to shoot strikers. It had no effect. By the Monday the strike was spreading throughout the country - the Ruhr, Saxony, Hamburg, Bremen, Bavaria, the industrial villages of Thuringia, even to the landed estates of rural Prussia." Louis L. Snyder has argued: "The strike was effective because without water, gas, electricity, and transportation, Berlin was paralyzed." A member of the German Communist Party (KPD) argued: "The middle-ranking railway, post, prison and judicial employees are not Communist and they will not quickly become so. But for the first time they fought on the side of the working class." Five days after the putsch began, Wolfgang Kapp announced his resignation and fled to Sweden. Mayr was seen as a key supporter of the Kapp Putsch and on 8th July 1920, he was forced to resign from the German Army. He continued to support the National Socialist German Workers Party (later nicknamed the Nazi Party). On 24th February, 1921 the NSDAP held a mass rally where it announced its new programme. The rally was attended by over 2,000 people, a great improvement on the 25 people who were at Hitler's first party meeting. Hitler knew that the growth in the party was mainly due to his skills as an orator and in the autumn of 1921 he challenged Anton Drexler for the leadership of the party. After brief resistance Drexler accepted the inevitable, and Hitler became the new leader of the Nazi Party. In September 1921, Hitler was sent to prison for three months for being part of a mob who beat up a rival politician. In 1925 Mayr left the Nazi Party and joined the Social Democratic Party (SDP). Later he became the leader of the Reichsbanner Schwarz-Rot-Gold, an organization formed to defend parliamentary democracy against internal subversion and extremism from the left and right, to teach the population to respect the new Republic. It has been argued that Mayr turned it into SDP's paramilitary force. Mayr also began to use information he collected while head of the Education and Propaganda Department. Some of this material was leaked to left-wing newspapers. When Adolf Hitler gained power in 1933 Mayr fled and went to live in Paris. After the German invasion of France in May 1940, instructions were given to the Gestapo to find Mayr. Eventually he was arrested and sent back to Nazi Germany. Karl Mayr died on 9th February 1945 at Buchenwald Concentration Camp.